Originally from Holland, Jannie Frendo has been settled for a number of years in the Dordogne. 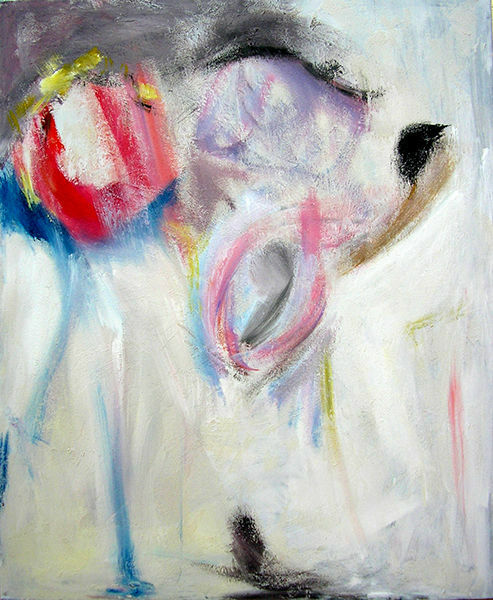 She employs a subtle draughtsmanship to achieve her compositions. Richnesss and diversity of imagery and a sensitive use of colour add depths and atmosphere to the whole. Often starting from an expressly figurative idiom, the work takes on a surreal aspect which draws the mind towards a world recognizable only to the senses; as one recognizes a subtle and elusive scent. 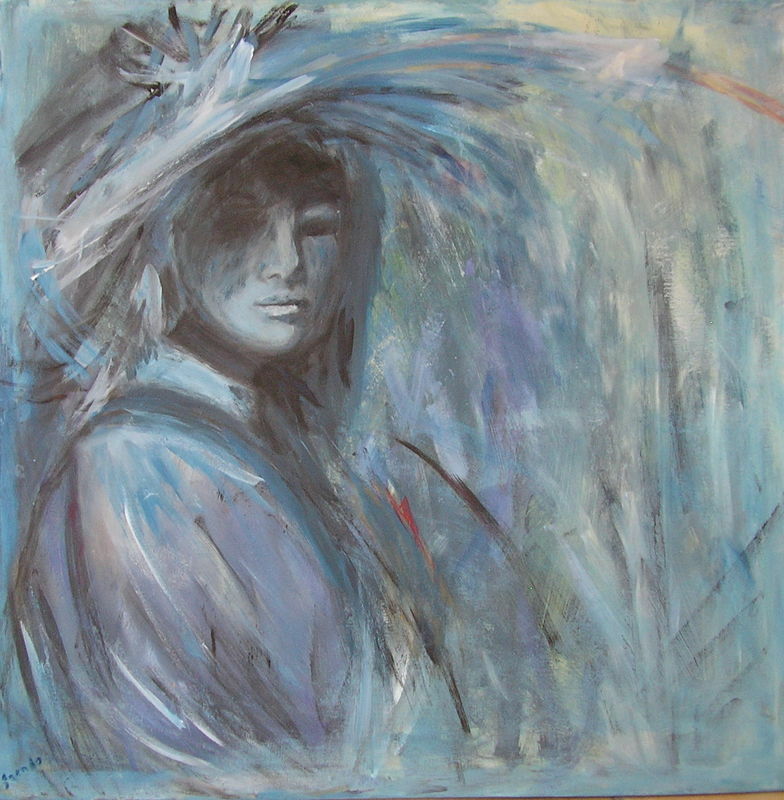 From 2004 onwards, her paintings have been exhibited in Italy, France, Holland and Belgium as well as in the United States. Hollandaise d'origine, Jannie Frendo s'est installée depuis quelques années dans le Périgord. Elle pratique un graphisme subtil dans la réalisation de ses compositions. Sa diversité pictural, sa touche chromatique floue viennent ajouter atmosphère et profondeur à l'ensemble. Partant souvent d'un intention figurative délibérée, l'oeuvre prend un aspect de surréalité qui entraîne l'esprit du spectateur vers un monde que seule sa sensualité pourra identifier. De la même façon que se respire une fragrance imperceptible et volatile. Depuis 2004, ses peintures sont exposés en Italie, en France, en Holland, en Belgique ainsi qu' aux Etats Unis. As an assistant to an artist representative and curator based in New York City, I am always looking for wonderful artists. After seeing some of your paintings, I am very motivated to assign a writer to review your works. I truly enjoyed viewing your newer work. I feel your work shows much talent. I am curious to know of any articles you have had published about you or your work, to date. I would also love to hear about any projects you are working on or exhibits you have participated in. (www.artfairsnewspaper.com) in conjunction with major art fairs. We are also currently working on our annual traveling exhibition. This annual exhibition starting in January will also be shown at different New York locations in March concurrent with NYC Art Fair’s week including The Armory Show. Soon afterwards the exhibit travels to Beijing, China where it will be on display at Arts Space Beijing.Please let us know if you would be interested in utilizing our services. I will be happy to send you a formal proposal including costs and terms. I think that your work is great and it would serve as a fascinating selection for these projects. Please let me know what you think. Looking forward to hearing from you soon. thank you for contacting me. can you please let me know the cost of your services.